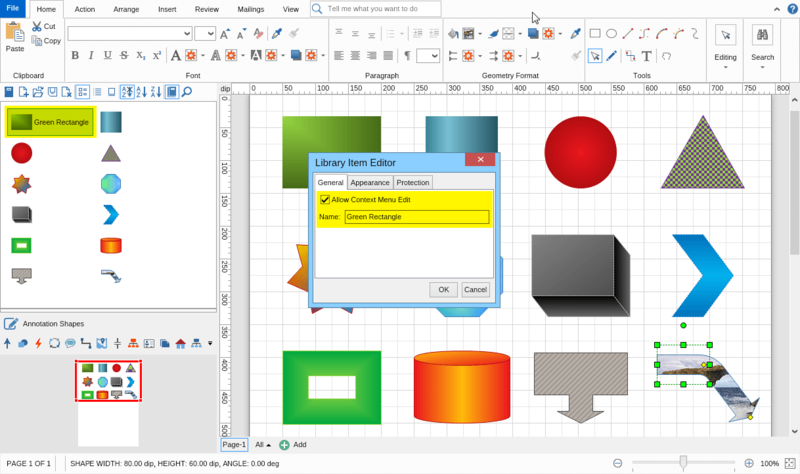 MyDraw comes with a number of built-in shape libraries to help you get started with creating your diagrams or graphs. 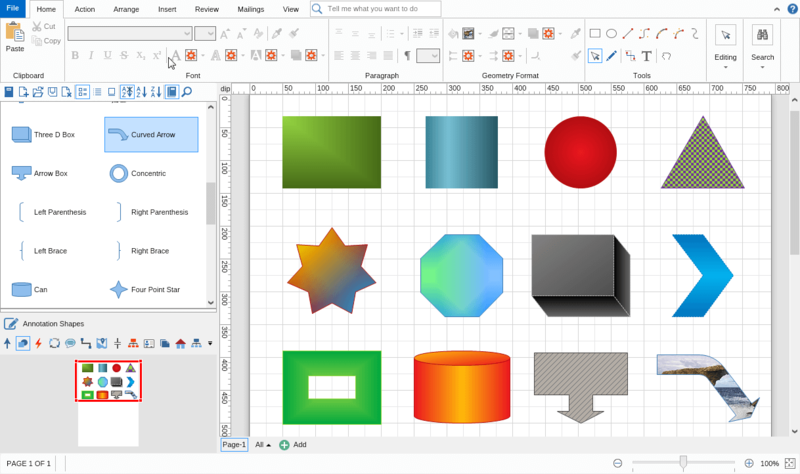 In this How To topic we will show you how to create your own shape libraries. You may want to do this if you would like to create a library with the shapes you use most often, or if you'd like to add your custom designed shapes and save them for later. What shapes you would save in a custom library? 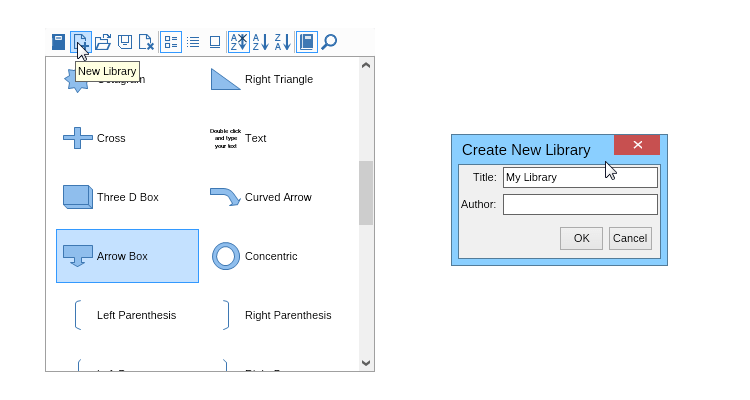 In case you are repetitively using specific diagram shapes you may want to add them to a custom library. This will allow you to have quick access to all shapes you're using without switching back and forth between libraries. You can also use this trick if you would like to have a library in your specific brand colors. With MyDraw's advanced formatting functions you can save a shape with a specific formatting and then re-apply this formatting to as many shapes as you need later on. Before you create your own custom library you need to have the shapes you will be adding to it. 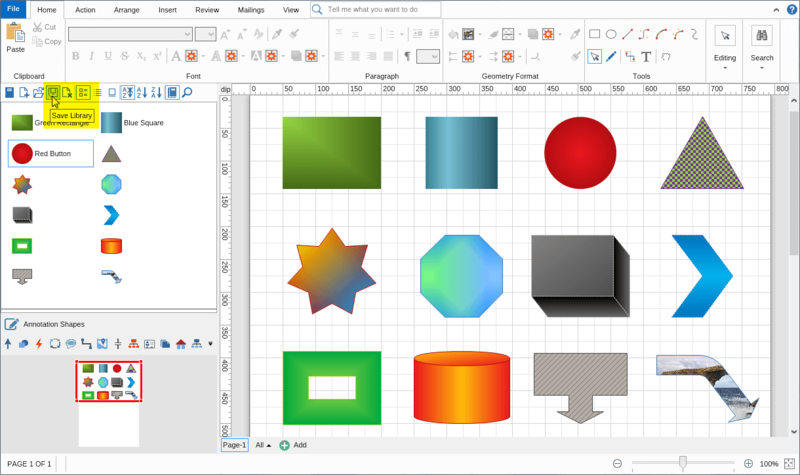 Here's a preview of several basic shapes that we've added more advanced formatting to. You can do the same or draw your own (here's how you can design custom shapes). When you have collected the shapes (or some of the shapes) which you'd like to add to a custom library it's time to create it and start adding them. Creating a custom library is done with a single click of a button with MyDraw. Simply click the "New Library" button and type the name and author of this library. 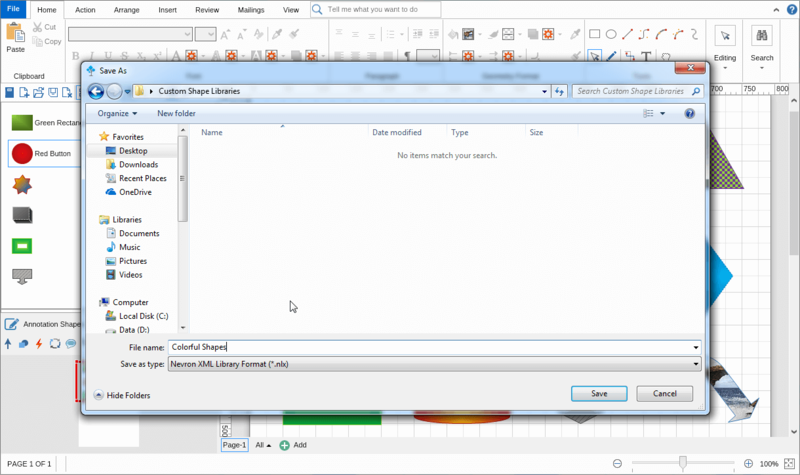 When the new library is created you will notice your Library browser turn completely blank. This is because your library is currently empty. To add the shapes to the library all you need to do is drag them from your canvas (drawing area) to the library browser and drop them. Once you have the library saved you can re-open it whenever you need it. You can also modify the shapes it contains, add new ones, replace the current ones, or simply remove the shapes you won't be needing in future.